Logan Morrison‘s two-run single up the middle off rookie reliever Giovanny Gallegos gave Tampa Bay a 9-4 lead, prompting pitching coach Larry Rothschild to come out for a mound visit. 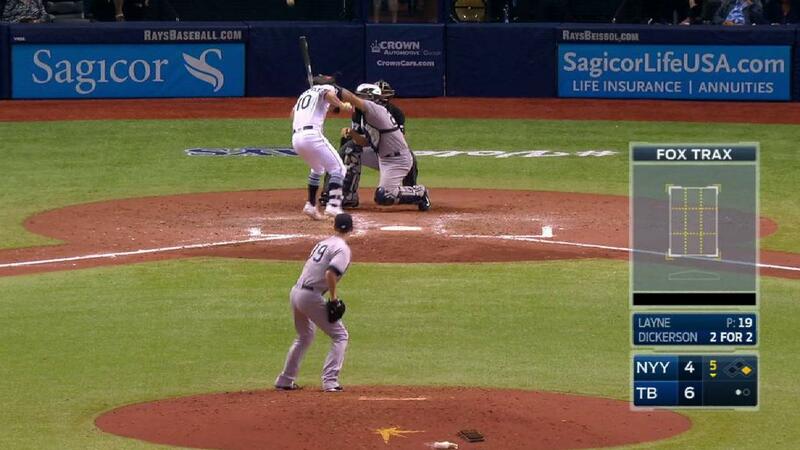 Home-plate umpire Scott Barry interrupted the meeting, exchanged words with Rothschild and ejected the pitching coach. That caused Girardi to begin a heated argument with Barry, an eight-year big league veteran. The ejection was Girardi’s second of the season, 37th of his career and 32nd as the Yankees’ manager. Rothschild was tossed for the fourth time in his current role. 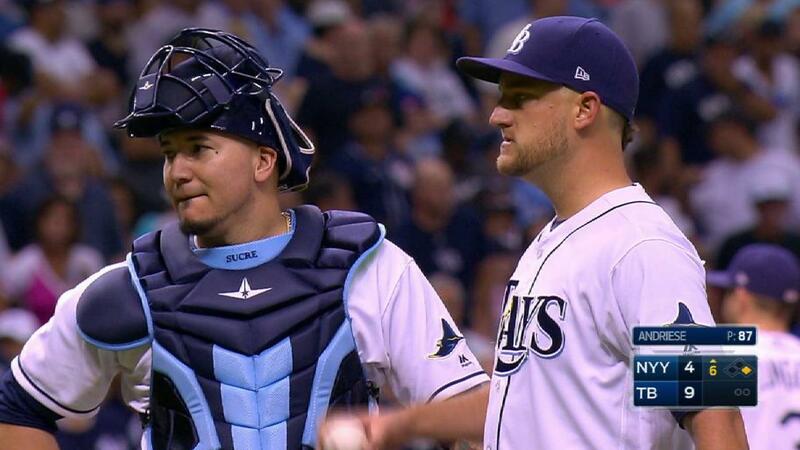 Tempers flared further in the sixth inning when Rays starter Matt Andriese drilled Aaron Judge with a 90.4-mph fastball, prompting Barry to eject him. Emmel said that Andriese was ejected for intentionally throwing at the hitter. The Yankees’ Tommy Layne had hit Corey Dickerson in the upper back with an 87-mph two-seamer in the fifth inning after Dickerson homered twice off Masahiro Tanaka. 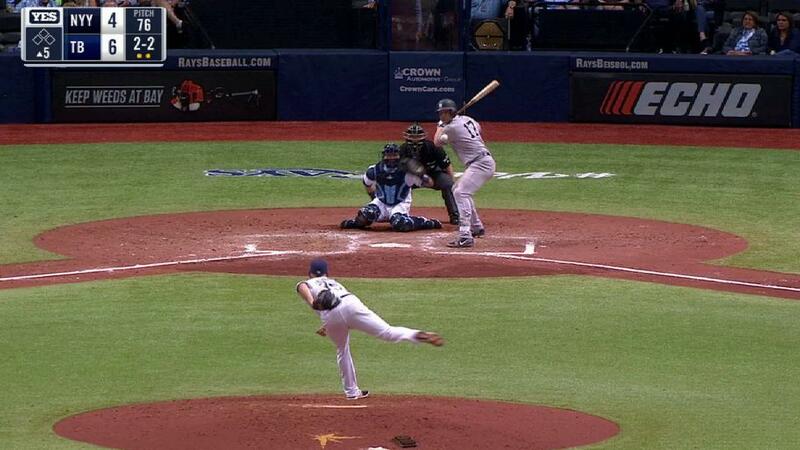 Andriese had hit Matt Holliday with a 3-2 slider a half-inning earlier. Dickerson said he wasn’t expecting to be hit in the fifth.